When it came to Thanksgiving, my grandmother didn't mess around. She set the long table with a lace table cloth, used every last dish, glass, plate, spoon and fork in the cupboard. Weeks ahead, she polished silver to a soft luster, lifted the felt-wrapped turkey platter from the linen closet at the top of the stairs that opened with a whiff of cedar and brown soap. As a child, I helped her with every last detail, from writing names on the place cards and folding the napkins she ironed a week in advance. The day before, we made pie crusts then baked sweet potatoes to mash for the pie. She sprinkled leftover scraps of dough with sugar to bake into cookie crisps. In the whirl of cinnamon and clove, the rhythm of chopping and whisking, there was purpose and love. She had the courage to create a gleaming stage for any number of family dramas that like Dickens, played out year after year -- my uncles divorces, the new girlfriends, the tipsy brother-in-law, the curlish teenagers. No matter what -- late arrivals, no shows, and unexpected additions -- the meal would go on, again and again. After we snuffed out the candles, scraped and washed plates by hand, and tucked away leftovers for soup, she'd stand and take in the now empty kitchen and say, "now didn't that go well?" 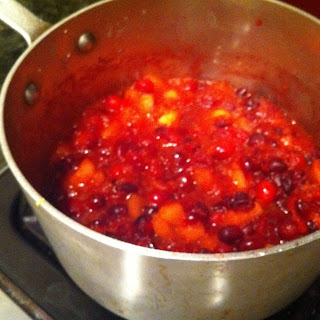 As I pour those bouncy tart cranberries into a pot, I can hear her reminders. "Don't add the sugar until they've popped open, it will make the berries tough." 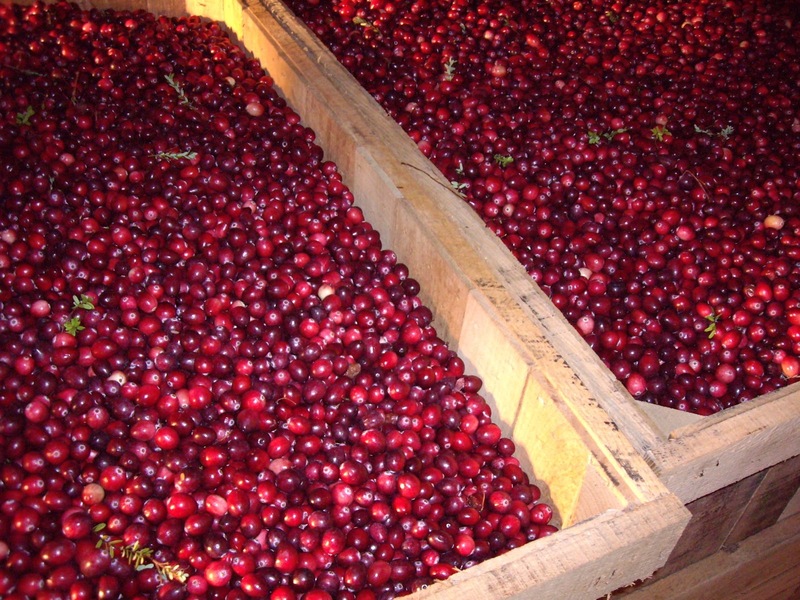 I've lived in Minnesota, for the past 30 + years, and these cranberries are a touchstone to the yellow Victorian kitchen of my Maplewood, New Jersey childhood. I stir them into the sauce as my grandmother taught me with thanks, determination and hope. My grandmother never measured and this recipe is so very easy, you needn't either. I've added fresh ginger to taste, but that's completely optional. A cinnamon stick or some cloves will work nicely, too. Put the cranberries, cider, apples and ginger into a pot set over low heat and cook until the cranberries just begin to pop open. Add sugar to taste. This bright, fresh tasting sauce is terrific with chips and great swirled into mayonnaise for a sandwich spread. Put all of the ingredients into a food processor or blender and process until finely chopped. Just a Spoonful of Curry!